It's easy to come up with a few things that make a Christmas song bad. I would nominate any songs that involve dogs barking in time to an old holiday classic, anything sung by Tiny Tim, and any song involving large mammals trampling grandparents. What makes a good Christmas song is a bit harder to zero in on, but John Roderick — leader of indie-rockers The Long Winters, one-time Seattle City Council candidate, co-host of the Roderick On The Line podcast and former Gonzaga student — today published an essay on The Talk House blog about the "criteria of a good Christmas song" that is well worth a read. Why listen to Roderick? Well, besides his career crafting excellent and smart pop-rock tunes, he's also the co-writer of his very own Christmas album, along with his buddy Jonathan Coulter. 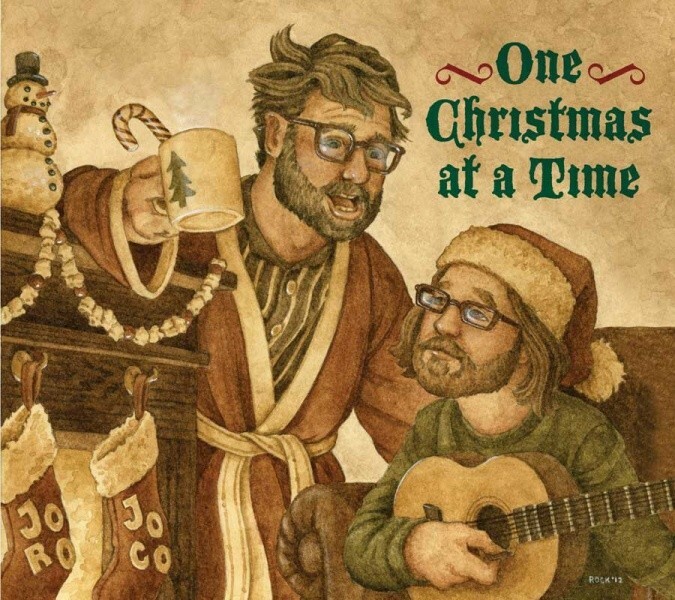 One Christmas At A Time came out three years ago, but the songs are timeless — as all holiday songs should be — and Roderick and Coulton continue to play them this time of year, most recently at shows with Aimee Mann and Ted Leo. 1. No unreflective overuse of holiday trope words. Most of them are seductively easy rhyming words, like “merry” or “holly” or “cheer,” but easy rhymes with cheesy. 5. Is your song a little bit metal? All the good Xmas song are stealth metal songs because Xmas is the most metal of all holidays. 6. Why are there so many Christmas songs but not a single Halloween or Thanksgiving song? Because Christmas is just an excuse for us to worship our Old Gods, Trees and Fire, and to try to appease them by singing metal songs while rattling bells. You can check out Roderick's entire list here, as well as some of his recommendations for good Christmas tunes, including songs by Run-D.M.C., The Pretenders, Liz Phair and AC/DC. Speaking of Music , For Fun!